The summer holidays are definitely over – even if the weather is still great. 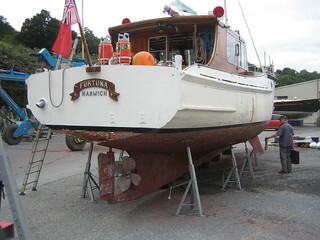 Work started today on M.Y Fortuna II. A rather shapely and well built Fred Parker Motor Yacht dating from 1959. 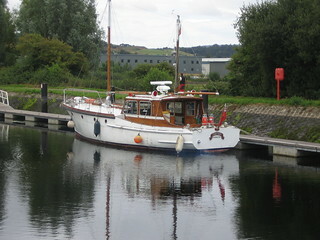 She has been languishing for some considerable time in Exeter canal basin and is now showing the signs. 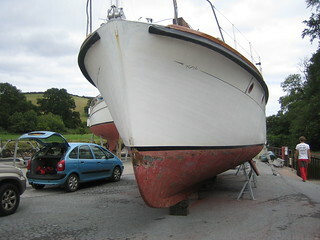 Yesterday I helped her new owner bring her round to the Dart for refit. Some fun blasting through all the weed in the Exeter canal was followed by interesting pilotage down the Exe and a smooth run down the coast to Dartmouth. After a quiet night on the visitors pontoons a run up the river to Totnes in the morning delivered her to Baltic Wharf for haulout where she will spend the winter in the long shed being ‘sorted-out’. Once out of the congested cancal basin and in clear view she started to look the part – albeit a bit scruffy round the edges. Once out of the water the scale of operations – just to scrape all the paint off – became apparent. 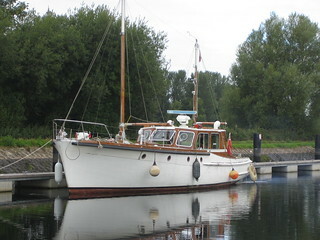 She needs some planking work, a major simplification and upgrade of her mechanical, electrical and domestic systems as well as a full re-finish. 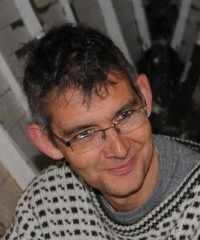 Posted in boatbuilding on August 13, 2013 by charlie.